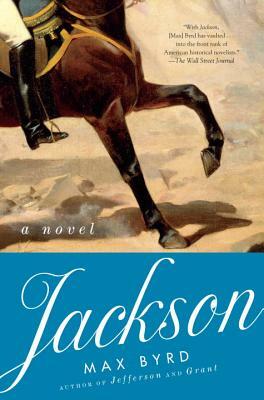 In this sweeping, marvelously written novel, Max Byrd, the celebrated author of Jefferson and Grant, presents a superb portrait of Andrew Jackson, a President remembered for his strong will and tempestuous nature—and regarded as “the most dangerous man in America” by none other than Thomas Jefferson. He became a legend during the War of 1812. He was a slave owner, land speculator, and Indian fighter. He stole another man’s wife, murdered men in duels, and ordered military executions. But Andrew Jackson was also an impassioned supporter of universal suffrage and an ardent believer in the will of the people. Here the story of our controversial seventh President is told from a variety of viewpoints, including that of a young writer named David Chase who discovers, on the eve of the presidential election, a secret that could change the future of the nation. Along the way, readers encounter such notable figures as John Quincy Adams, Aaron Burr, and Sam Houston, and bear witness to an America in transition—and a man as unpredictable as democracy itself.